Looking "where to sell my Zagato?" Ask the Chicago Car Club! Are you wondering "where to sell my Zagato ?" The Chicago Car Club is interested in classic cars of all makes and models, especially a Zagato. 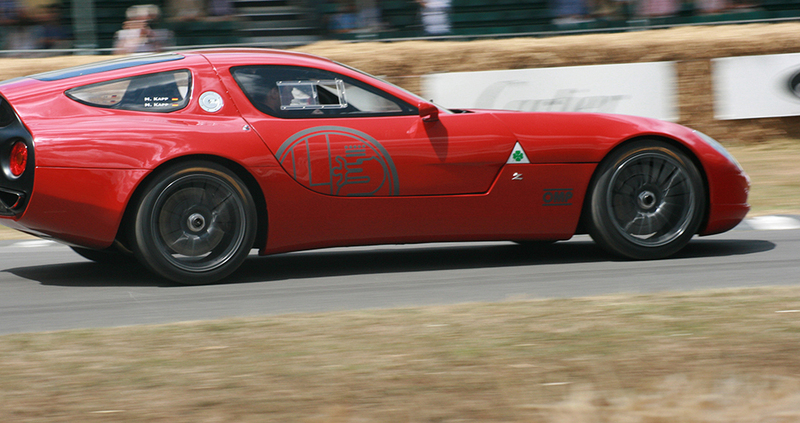 We make the process of selling your Zagato quick and painless. In just a matter of hours we will have your classic valued and, if you do so choose, turned into money in your pocket. All it takes is a phone call or electronic inquiry to get the ball rolling. Zagato is perhaps the best known and loved independent Italian coachbuilder and design shop. For many decades they have been contracted by major can makers to create special edition versions of their existing cars. The end results are always innovative and beautiful. The company was founded by Ugo Zagato, who was born June 25, 1890. He left his job at the Officine Aeronautiche Pomilio to start his own custom coach business. His experience with aircraft is easy to see in his designs, which are all very sleek and aerodynamic. Some of Zagatos most famous creations include the Aston Martin DB4, which had a 3.7 liter V6 engine that had a zero-to-60 mph speed of less than 6 seconds, which was incredible for the early 1960s . Only 19 were ever created. They rarely come up for sale, but one recently went for almost $12 million dollars at auction. 4.2-litre V8. Another is the 2010 Zagato Alfa Romeo TZ3 Corsa that which can blast out a 0-62mph speed of 3.5 seconds and motor along at speeds of up to 180mph. Zagato currently has a 250,000 sq facility near Milan in the Terrazzano frazione of Rho, Lombardy, Italy. Zagato is still going strong. Aston Martin and Zagato recently showcased a special, 592 bhp V12 Vanquish set for Villa D’Este. It has a bubble roof, lots of glass and carbon fiber and a beast of a 12 cylinder engine. No matter what they touch, it turns to gold. Their creations are some of the most treasured and coveted cars in existence.